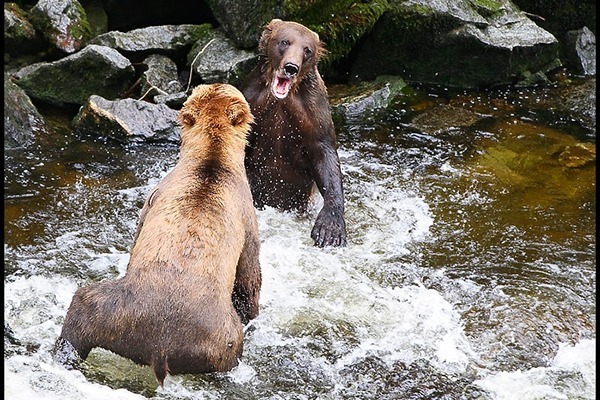 WATCH AND PHOTOGRAPH WILD BEARS CATCHING WILD SALMON! 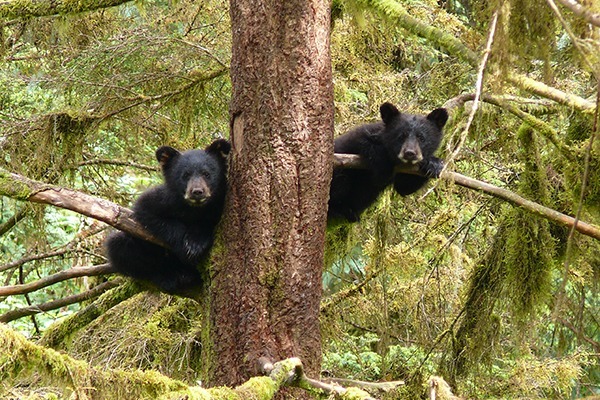 The Anan Wildlife Observatory is world renowned for its extraordinary bear viewing opportunities. 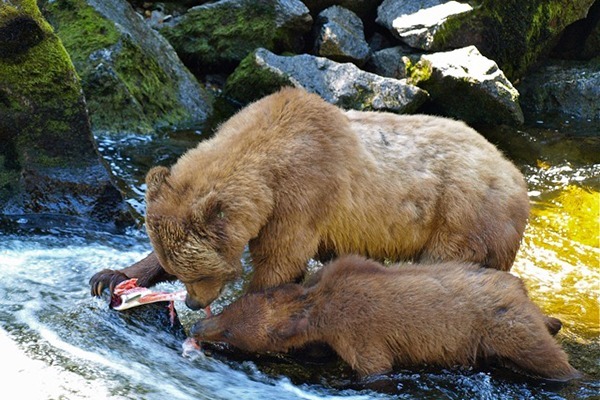 Home to one of Alaska’s largest pink salmon runs, it attracts a significant number of bears both brown and black, as well as hundreds of eagles, seals and other wildlife that rely on the salmon as a major food source. 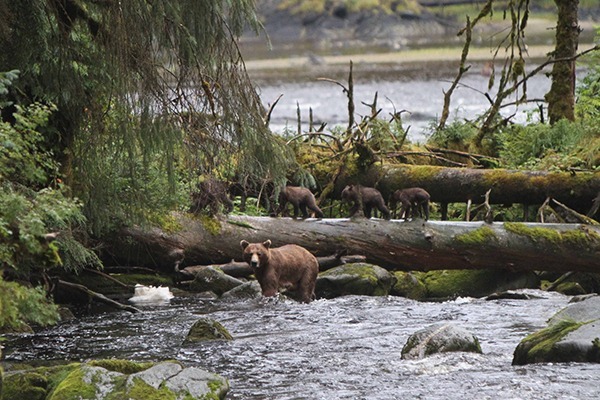 A day trip to Anan is one of the best ways to see bears and other wildlife in their natural setting. Enjoy stunning scenery and lots of action! For the most serious wildlife enthusiast and professional photographer we regularly offer our boat and guide privately. We will stay on site as long as the US Forest Service will allow and dedicate the entire schedule to your specific objectives and agenda. Anan Wildlife Observatory visits are highly sought after. Access requires a special permit that are very limited in number for each viewing day. Early reservations for this tour are highly recommended. To check availability or if you have any questions about this once in a lifetime trip, give us a call! For more information about this tour, special pricing, accommodations or help with planning your trip please Call us at (888) 993-2750 or Contact Us. Anan is located in Tongass National Forest (35 miles from Wrangell, Alaska), which is accessible only by boat or floatplane. We’ll get underway in one of our custom built tour vessels that are covered, heated and comfortable. You will enjoy a picturesque one hour cruise. 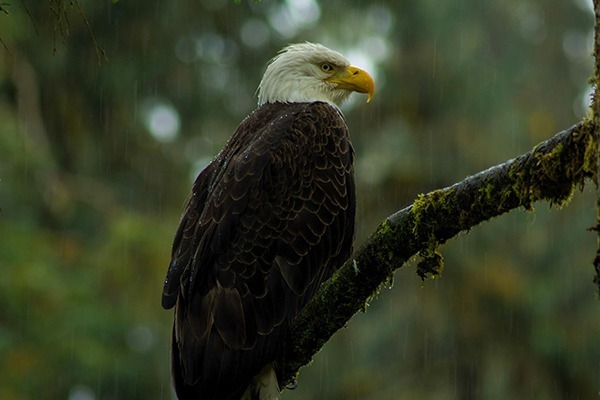 It’s not unusual for us to see wildlife along the way! 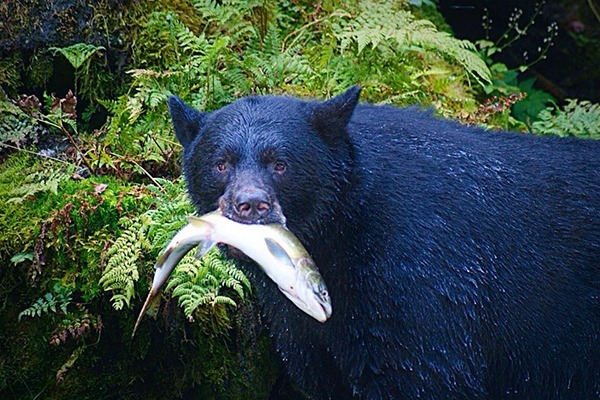 We will chat about the Tongass, its bears and what you can expect to experience from your day at Anan. When we arrive at Anan we will disembark the vessel. While you take in the beautiful setting and organize your gear, we'll take care of all the permitting paperwork with the US Forest Service. 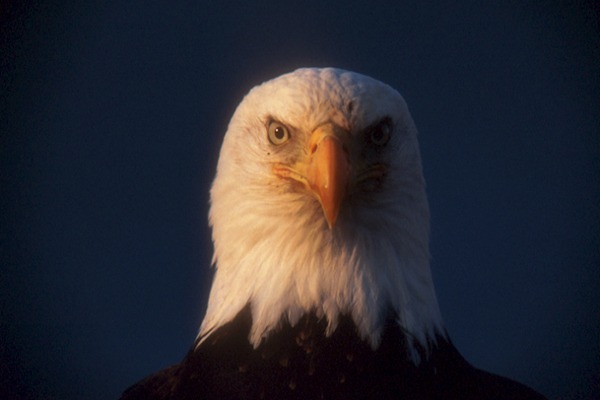 Following a brief introduction, by one of our highly trained guides, you’ll be stunned by the eagles, seals and other wildlife that are gathering here for the abundant pink salmon run. Our professional guides will lead you on a half mile journey through the sanctuary on a well maintained trail (see below for more details). You’ll enjoy our easy going pace while your guide tells you more about Anan, its history, ecosystem and wildlife. 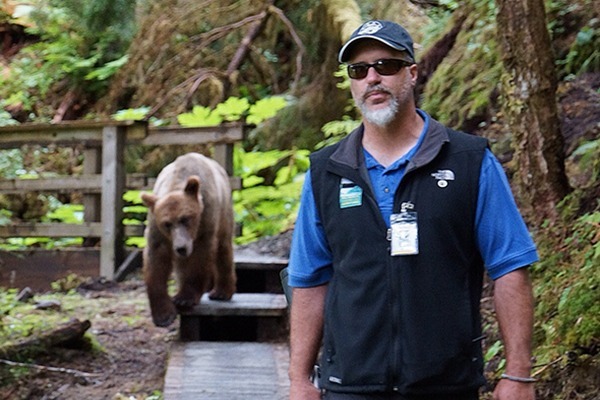 We often have an opportunity to view bears as we make our way to the observatory platform. 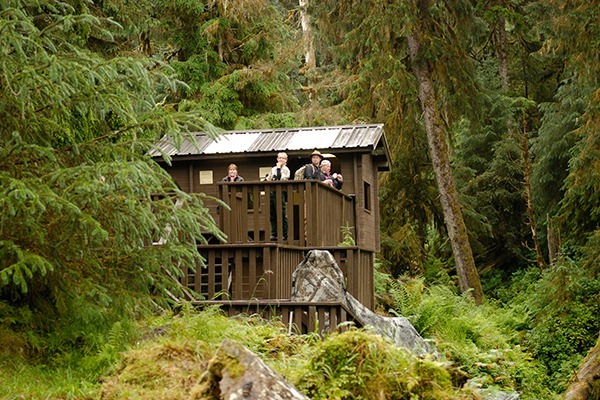 When we arrive at the viewing platform, plan on settling in here for an extended stay of bear viewing and photography. 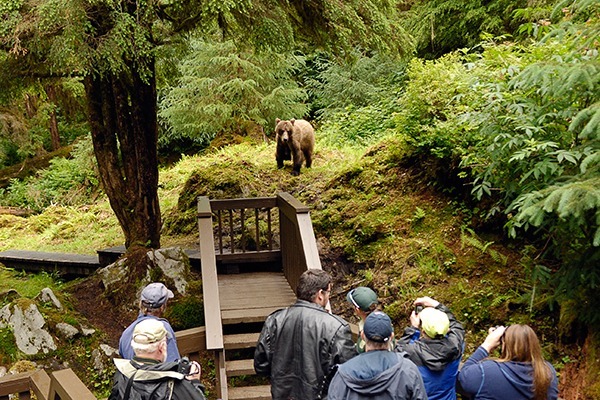 The viewing platform is perfectly placed on a bluff above the bears’ favorite fishing hole. You’ll have the freedom to relax and move around the deck as you wish. There’s so much to look at, it’s difficult to decide which vantage point is the best! 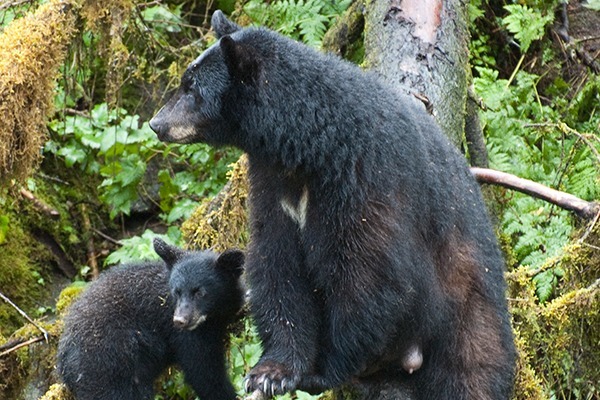 Your guide is right there to spot bears for you, answer question, and enhance your experience. 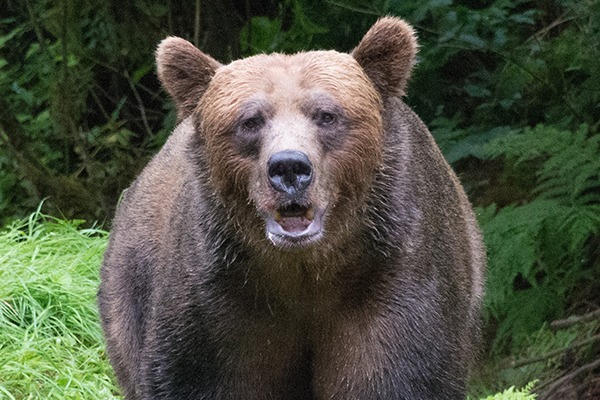 There is a special photo blind right at creek level and we will make sure you are signed up for a unique chance to view bears at eye level. Spend your day soaking in this amazing place in the towering rainforest adjacent to a salmon filled stream. When our small group is tired, hungry and likely maxed out their camera card, we will make our way back to the boat on the estuary trail. Board the boat for a casual and fun voyage back to Wrangell. Generally, we like to share our best photos of the day and get into our long overdue lunches! As we cruise back, we will share some of the interesting sites along the way. You'll be glad you took our tour because we stay longer. When your vessel arrives at Anan Bay, you will disembark on the beach in a tidal area where there can be a bit of mud or sand at low tide and a rocky path at high tide. There is no dock so sturdy shoes are nice to have. There is a restroom [outhouse] at the trail head and another at the observation deck. The trail to the observation deck is 1/2 mile long, so you will have a total walking distance of one mile for the day. Much of the trail is a two foot wide elevated boardwalk although there are some sections of trail that are gravel or natural terrain. There are a bit over 300 stairs randomly spaced within the 1/2 mile trail, generally in groups of 3 or 4 steps at a time as the path follows the natural contours of the forest floor. We move at a slow walk and stop briefly for photo opportunities and naturalist interpretation. must stay on the vessel, only water comes ashore. Attached to the main viewing platform via a stairway [about 35 stairs] is a blind or hide near the creek level right next to one of the bears’ favorite fishing holes. This photo blind is perfectly situated for up close eye level photography. The blind can accommodate up to 5 people at a time. In order to allow everyone who would like some time in the blind to have a chance, use of the blind is allowed in 30 minute intervals determined by signing up for a time slot (or slots) on the sign up page on the observation deck. Time slots for the photo blind cannot be scheduled prior to arrival at the observations deck. Don’t worry though, if you are going with us, you will usually have a number of chances to get down to the photo blind since we stay so much longer than most other visitors. 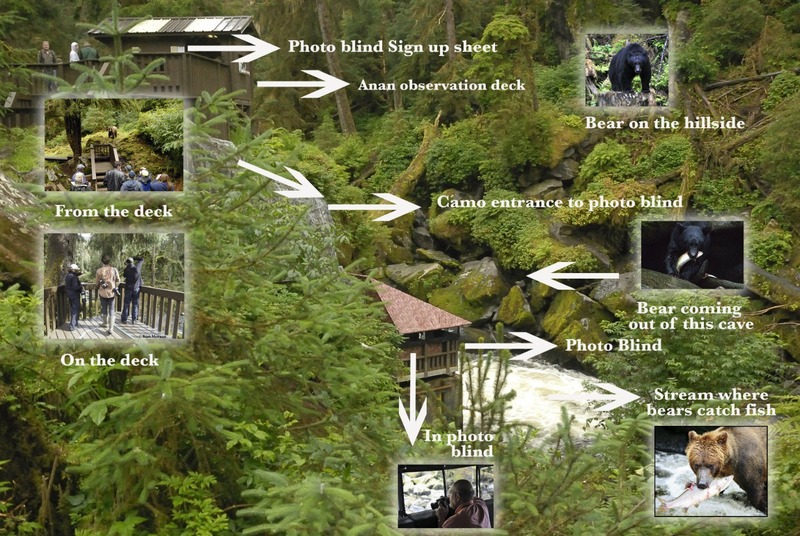 While the blind gets you right down to creek level, you never know where or when a bear will make an appearance, so regardless of where you are, you will have excellent viewing and photography opportunities from anywhere on the observatory deck. Eva Johnson: Going to Anan was one of my favorite parts of our entire trip.